After a week of non-stop speedrunning. The games, they were done, and quite quick. Which is to say, bi-annual speedrunning event Games Done Quick has just wrapped up—after a week of non-stop action, involving games as varied as Dark Souls III, Spongebob Squarepants, and Descent II. I saw none of it live, but you'll find the majority of the runs (and, soon, all of the runs) on YouTube, and boy is there a lot to get through. The newsy part of this news article is that Awesome Games Done Quick raised rather a lot of money for charity—in this case, for the Prevent Cancer Foundation. At the time of writing, the tally stands at a whopping $2,215,733.30, so nearly two-and-a-quarter million of your American dollars. The max donation received was for $40,000 (crikey), while the average amount pledged was $51.11. 181 runs were, er, ran in total, while 33592 donors made 43349 donations to the PCF. 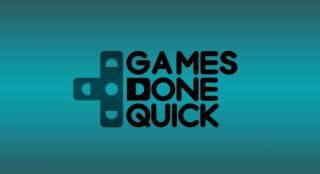 That's it for January's Games Done Quick, but the event will be back in the Summer, where it'll be known, get this, as Summer Games Done Quick. That one usually raises money for Doctors Without Borders.